What's involved and what does ct video production cost? Partners Eric and Kristen Pontbriand have specialized in corporate videography for manufacturers and professional firms since 2002. We are proud to shoot on the RED camera platform and acquire 4k motion images in RAW to preserve the highest level of detail and gain the most flexibility in post-production for our clients. We are located in Watertown, Connecticut and produce for clients that can be reached by air or ground within 3 hours of CT.
Eric and Kristen also produce still imagery and 3D animations for manufacturing visualizations, catalogs, and web content. Our 3D scenes and examples can be created from Autodesk and Solidworks files, and we have the capability of rendering in-house as large as 160 megapixels for large-scale display projects for tradeshows. We also work closely with clients for various other marketing needs, like SEO, SEM and websites and catalogs. How much does a typical video production cost? Pre-production tasks like Conception, scripting, planning, story-boarding, casting, and location scouting. Production-related expenses such as talent, wardrobe, prop-rentals, set design, labor and location rentals or possibly production insurance depending upon risks. Specialized equipment charges: If specialized industrial drones, non-standard equipment or high-speed-industrial photography is required. Post-production sizzle like Motion graphics, visualizations, 3D animations, brand reveals or branded motion-titles. Additional materials: Media Infocus can provide stills and even designs for large format printing and design for displays and trade shows from 3D materials, scenes and graphics (if applicable). Media Infocus is happy to accommodate clients with needs from simple to complex for most types of business and industry related video content. To learn more and receive a detailed plan and some ideas for your production, please contact us today and tell us about your project. What type of equipment do you shoot on? Media Infocus shoots on RAW motion picture cameras that are 4.5k capable and stills at 30 megapixels RAW. We are able to capture stills and video within the same shoot. We employ several types of motion control systems to create cinematic images for our clients, and arrive at most types of shoots with at least double redundancy. How long will it take to produce my commercial? 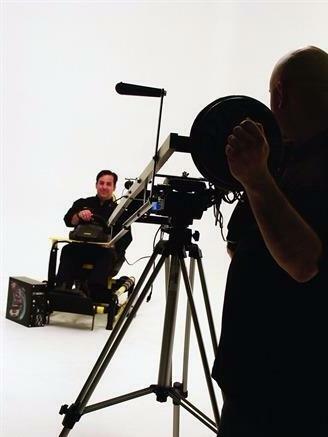 Creative video productions take an average of 4 weeks from script to delivery. Functional and sale promo advertisements produced under an online presence program can typically be produced and delivered in as little 72 hours or less under ideal circumstances. Who came up with the ideas in your portfolio videos? Media Infocus most often works with very busy small business owners who just don't have the time to plan their marketing content and videos. Most of the commercial productions here have messages and themes that were our brainchild. We'd be delighted to work for you whether you would prefer us to handle the creative planning and direction OR if you'd rather the concept, script and direct. We're here to help your commercial idea become a reality. Can you use photos and video I provide? We'd be more than happy to include materials you provide within your commercial production! Throughout our portfolio are several great examples of how 3D graphics and animations can enhance these materials. Tell us what you have, and we'll provide ideas on how to make you a professional video that you'll be proud to have to represent your company and brand! Can we hire your company just for Videography or Broll? Yes. We are available for deployment anywhere in Connecticut on easy terms and at affordable hourly rates. What makes our video production service different? A successful commercial creates emotion, engages an audience and encourages viewers to act. With 15+ years in the marketing and advertising realm, Media Infocus has planned and executed marketing campaigns and creative for hundreds of projects, both print and electronic. Our expertise covers new business and product launches, PR campaigns, television and online advertising. The bottom line is, we don't just produce videos. We understand the art of creating a piece that maintains synergy with your other marketing efforts and can help sell your brand. In addition to videography, we also have an extensive background in product, corporate and manufacturing photography. Learn more by following the links below. 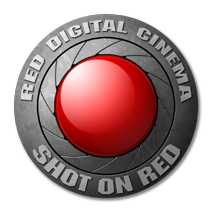 For a list of films shot on the Red Camera platform, Please click the link above.